Today was Andrew Breitbart‘s birthday. He would have been 44. Move America Forward released this tribute today in Andrew’s honor. 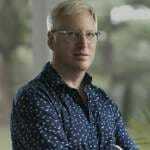 Andrew passed away on March 1, 2012. Move America Forward added: We will always remember Andrew as a dear friend and a stalwart supporter of the troops. We are thankful and count ourselves lucky to have had Andrew’s help and support on many successful MAF projects to support the troops. He was a true friend and patriot. Never Forget. 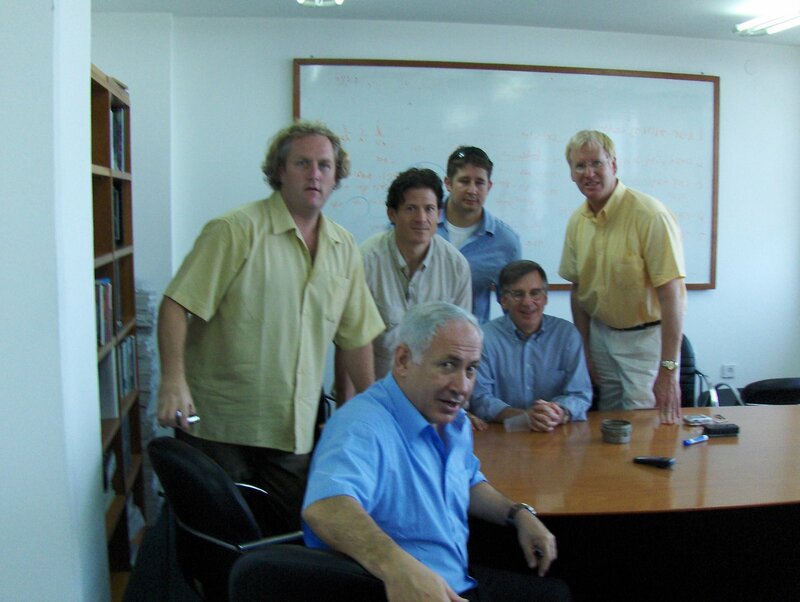 In 2007 I had the honor of traveling to Israel with Andrew Breitbart. Seated: Israeli Prime Minister Benjamin Netanyahu and Scott Johnson from Power Line in the background. Standing (l-r) Andrew Breitbart- Breitbart.com and The Drudge Report, Andrew’s friend Larry Solov, Jeff Emanuel from RedState and myself. We traveled Israel as guests of America’s Voices and Voices for Israel organizations.